Predictions are firming up for when China's Tiangong-1 spacecraft will make its final re-entry-crash-and-burn. The Chinese space station was launched in 2011 and had a two-year operational lifetime. Originally slated to make its return to Earth in 2013, its lifetime was extended to 2016. Loss of telemetry effectively ended the mission and in September 2016, the country's space agency (China Manned Space, CMSP) admitted that Tiangong-1 was out of control, and predicted re-entry in the second half of 2017. Which obviously didn't happen, as confirmed by CMSP's weekly updates on the space station's status that show its average orbit has dipped from 289.1km to 281.3km since December 2017. The apogee was last reported at 297.4 km, and perigee at 265.1 km. The satellite is therefore running late to its own funeral, however The Aerospace Corporation last week published a prediction that put the re-entry date as late in March 2018. 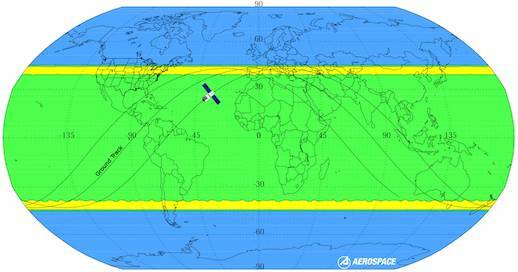 The Satflare tracking community predicts a later re-entry in mid-April.